Rum brand Flor de Caña has launched the 2019 edition of its UK cocktail competition Rum Frontiers, which will challenge bartenders to showcase their skills on the theme of sustainability. The competition, which launched in 2015, is centred around Flor de Caña’s dedication to sustainability and Fairtrade products. For the first stage, bartenders must submit a cocktail recipe online using Flor de Caña’s Gran Reserva 7 Year, plus at least one other Fairtrade ingredient. The serve must then be listed in the participant’s venue during March and posted on Instagram. The first 200 online applicants will receive a complimentary bottle of Gran Reserva 7 Year to develop their cocktail, along with the brief for the first stage of the competition. 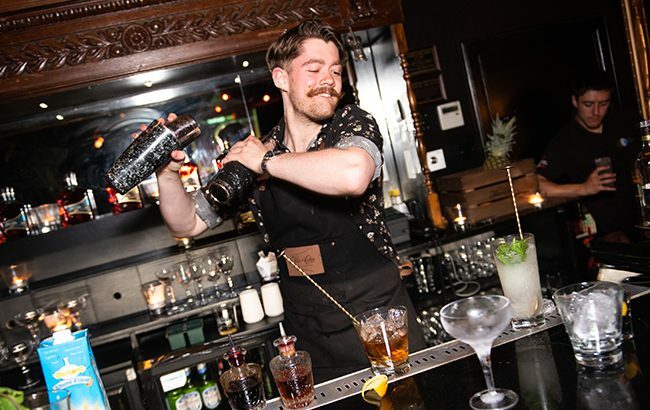 The second stage will see UK brand ambassador Mateo Ortiz Lima head to 20 of the highest scoring entrants’ bars to taste-test the cocktail, at the end of which 10 bartenders will be selected for the final. This will be followed by a live grand final in June 2019, which will be held in a UK city yet to be revealed. The winner of the competition will receive a trip to Central America, where they will learn about Flor de Caña’s history and production process. The winning recipient will also get to experience the best of what the continent has to offer, including tasting the local cuisine, sandboarding down volcanoes and rafting down rapids. “We are looking to find the very best in bartending,” said Ortiz Lima. “Someone who can demonstrate their creativity and skill but also the best use of natural ingredients for an increasingly environmentally conscious customer. Last year, Lachlan Rooney of Edinburgh’s Voodoo Rooms stormed to success in the Rum Frontiers final with a cocktail made with homemade marmalade, Champagne and Flor de Caña 18 Year Old. For more details and to enter Rum Frontiers, visit www.rumfrontiersuk.com. Flor de Caña rum became one of the first spirit brands in the world to receive Fairtrade certification last year.